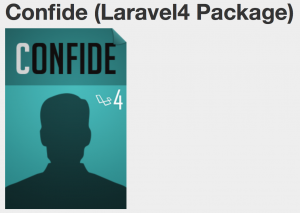 I’ve been learning Laravel the last few days and today wanted to experiment both with finding and installing a package/bundle (what’s the term?) and user account management. 2 birds. 1 stone. Confide. It’s never as easy as they say, but it also wasn’t overwhelming. NOTE: A couple things didn’t go 100% smoothly and I went back and redid them. So if my steps are a bit off, please let me know. // &#039;admin&#039;. Ex: &#039;admin/posts&#039;, &#039;admin/categories&#039;. Then it worked. The email confirmation/reset password seems to be questionable as to how reliable it is. I tried it w/ a couple different servers so hopefully I’ll get it reliable. This entry was posted in Web Development and tagged account, laravel, mamp, php, user. Bookmark the permalink.